How to Sync Folders to USB Drive in Windows 8? 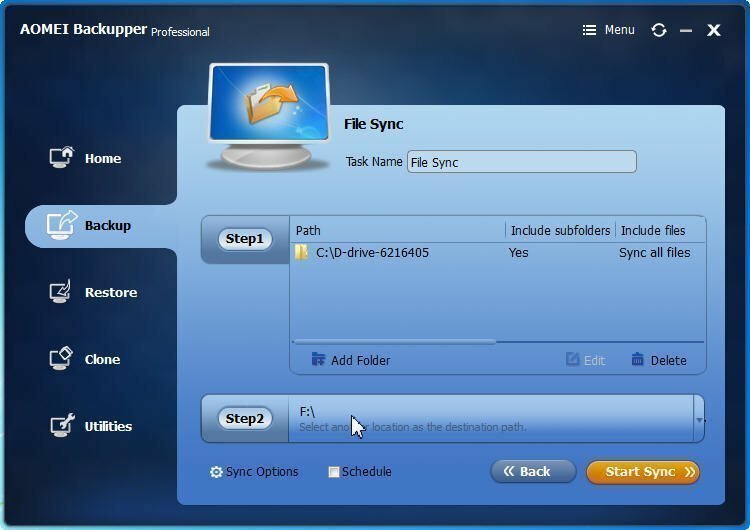 Have you ever thought that sync folders to USB drive? Here will introduce you a simple way for Windows 8 sync folders to USB drive, which can also be used in Windows 7/10. Windows 8 is widely used in computer users. Users have their own computers to working, studying, playing, etc, and many users stored their data on computers directly. However, when you use computers, you may move files from one computer to another for using same data on different computers. You can copy folder to a USB drive, and then, plug the copied USB drive to another computer, you will get the same data on different computers. But if you changed data on the original folder, you need to copy the folder to USB drive again. Fortunately, you can sync folders to USB drive so that the data you changed will be also changed on the USB drive as only as you connected the USB drive to your computer. It is very convenient for those people who will bring the data with USB drive. But how to sync folders to USB drive in Windows 8? Preparing a USB drive that you wan to sync folders on. Connect it to your computer and do not plug out the USB drive. Install AOMEI Backupper on your Windows 8 computer. After the preparations, you can start to sync folders to USB in Windows 8, or Windows 7/10, because AOMEI Backupper supports working on all Windows operating systems. Step1.You need to launch AOMEI Backupper first. It will display you the main interface of AOMEI Backupper. To sync folder to USB drive in Windows 8, here you should click Backup, slide the scrollbar, and select File Sync. It will pop out a window for choosing folders. Click Browse to select. 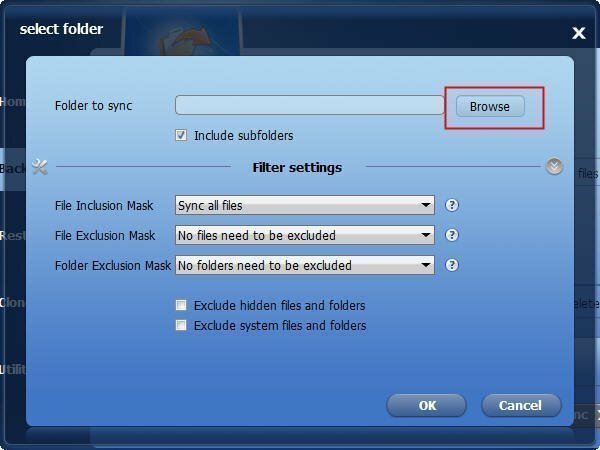 Tips:you can set up file exclusion under the Filter settings. Then click “Step2” to select the USB drive you prepared before as the destination disk. 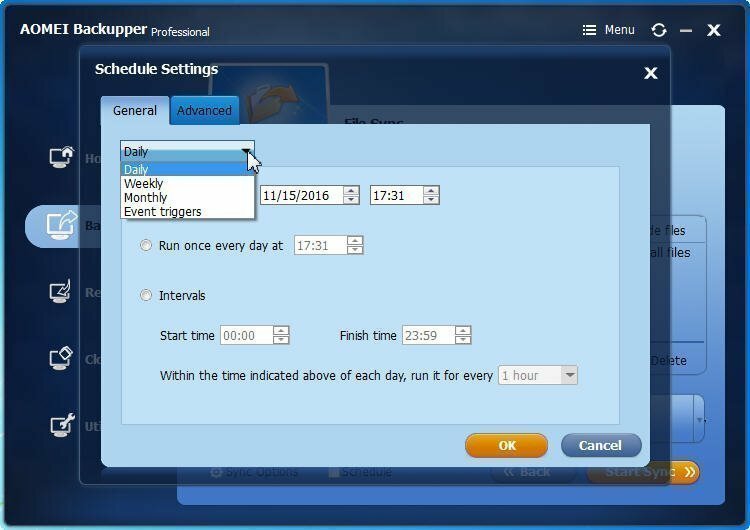 Step3.If you would like to sync folders automatically, here you can click Schedule to set up the frequency for daily, weekly, monthly or event triggers. You can also click Advanced to set up to do a full backup or incremental/differential backup. After all the settings, you can click Start Syncto launch the progress. Using AOMEI Backupper to sync folders to USB drive in Windows 8 is such an easy thing. Besides, AOMEI Backupper can do a lot of things for keeping your data safe. Such as create system image backup, so that you can restore computer to earlier date once you need; backup hard drive, clone system, create bootable media, and so on. It is worth to own.